We have a vast network of 90 water supply works and 368 treatment works across Kent, Sussex, Hampshire and the Isle of Wight. As well as these operational sites, we also have many construction sites where millions of pounds are being invested to maintain and improve our infrastructure. Some of these are on private land but other work, such as installing new water mains or water meters, takes place in streets and other public areas. 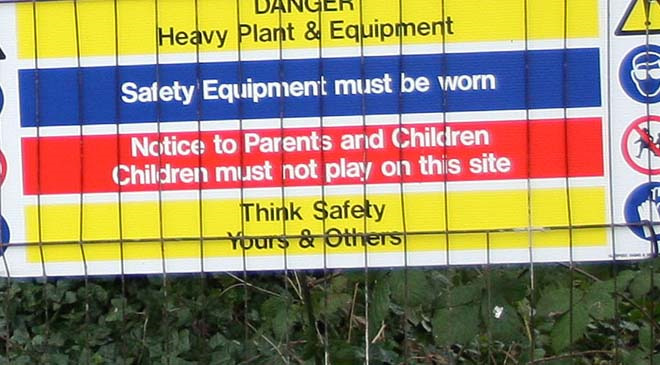 According to the Royal Society for the Prevention of Accidents, many children are injured, and several die each year, as a result of accidents on construction sites. Heavy machinery, hazardous chemicals, electrical equipment and excavations all pose a potential risk of injury and even death. Children may think that construction sites look like potential playgrounds but they are not; they can literally be deathtraps. Our staff and contractors who work on these sites, together with the people who officially visit them, receive rigorous health and safety training but anyone else may not be aware of the very real risks. Our message is simple – construction sites are not a place to play. Stay safe. Keep out.